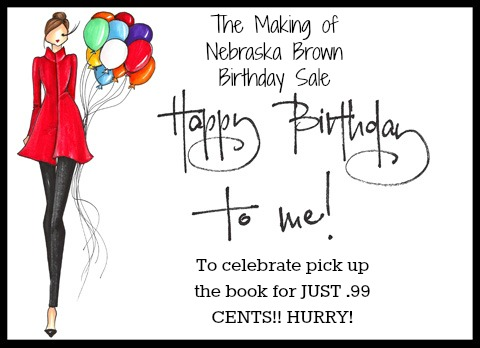 The Hook: Birthday Bargain - .99 Cent eBook Deal!! "From the first line of this book, I knew I was in for something special. It's a rare story that can hook you from the first sentence, but this book did just that. The voice in this story is one of the most relatable, honest, and downright enjoyable of any book I've read in a long time. The characters here are extremely layered. They talk, act, and even think like real people; especially real small town people (of which I am guilty of being one, so I guess I should know lol). The love story here is as genuine as everything else here; equal parts sweet, complicated, sad, and even tragic. The ideas of what we want, who we are, and even what we deserve are explored in deep, meaningful, and (most importantly) entertaining ways. I could not get enough of this book. The pacing was perfect, working its way up to a fever pitch with ease and never sacrificing the character building moments for the sake of the plot. The first chapter of this book gave me exceptionally high hopes and I was thrilled to find that the reality of the story exceeded those expectations. Louise Caiola has earned a fan with this, and I cant wait to read what comes next from her!" What better way to celebrate another year on this great planet earth than with spreading some book joy? I hope you will take advantage of this special offer. It's here just in time for the long holiday weekend. Bring your Kindle to the beach. You know you want to!